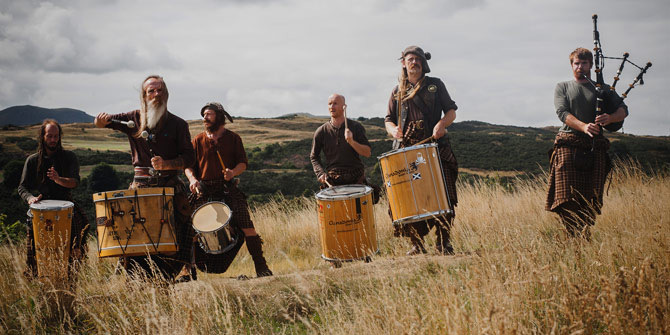 Welcome to Clanadonia – you’ve found the right band if you’re looking for the authentic tribal sound of Scotland. We’ve been entertaining audiences from around the world for many years covering a huge variety of venues – spanning the open streets of Glasgow to the large stages of international music festivals. Whether it’s a wedding, a corporate event or even a private hand fasting, Clanadonia are guaranteed to inject a Pictish treat to make the occasion one to remember! 15/01/19 Clanadonia entertain the stars of new movie, Mary Queen of Scots and even Saoirse joins in. 28/10/17 Suddenly available! Keeping’ It Tribal 2. 29/06/17 Clanadonia’s 1st album is now available to download on Bandcamp!